This Fitbit Charge 2 Charger can be a combo of a charging station for Fitbit Charge 2 and as a stand for your mobilephone or tablet. 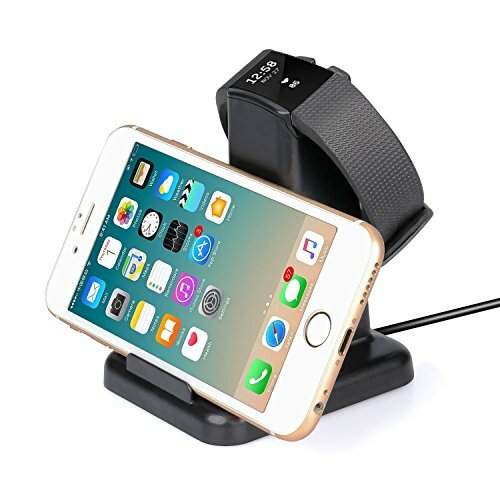 Charging station is made from durable ABS material with non-slip design in black popular color best fit for your exquisite Fitbit Charge 2 fitness wristband. Just connect the USB cable to your PC or any 5V/1A AC adapter, it will it will charge your Fitbit Charge 2! While your fitbit is charging, it can frees your hands in watching videos.